Our association was created on August 7, 2010 after the observation of many degradations on the north shore of the Bassin d'Arcachon and the large-scale deforestation of the Bassin for the benefit of urbanisation. The association includes a board of directors with 12 members and a bureau collégial, which means that there is no president in this association but a legal representative, Mrs. Marie-Hélène Ricquier. Every month, the members meet and debate current and emerging issues. A newsletter is also sent monthly to our subscribers (if you want to subscribe, click here). 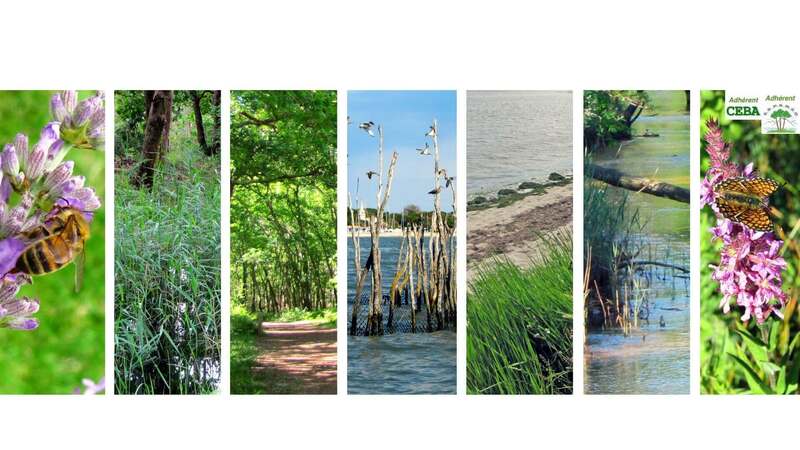 Les Écocitoyens du Bassin d'Arcachon promote a return to stability between men and nature and deserves the name of Association for Nature and Environment Protection. It defends solidarity and ecological values. Independent of any political party, it aims to be the link between citizens and decision-making powers. We fight against soil sealing, the exponential growth of urbanisation in coastal communities, the disappearance of natural, agricultural and forest areas. We fight against air, water, and soil pollution, and anthropogenic nuisance (noise, for instance). We fight for the conservation of wetlands, natural areas, the restoration of biodiversity and eelgrass beds around the Bassin d'Arcachon (...), for the respect of the Coastlines Act and the laws implemented by the Grenelle de l'Environnement 1 and 2. We resort to the Administrative Tribunal whenever necessary. We advocate for ecological transition and initiated the movement on the Bassin. Mobilization, engagement, reflection; to imply the citizen in the sustainable development of his town through sharing and exchanges, to bring concrete actions to life in a participative approach to answer the new social, cultural, economic and environmental issues. The association implements places for dialogue, meetings, debates. Our aim is to heighten the elected representatives and citizen's awareness about local issues and support local initiatives. Finally, the association will act through any other legal way on the entire commune of Andernos (where the head office is located), on the Bassin d'Arcachon/Val d'Eyre, as well as on any event or decision that might have a negative effect on the environment in this area. - take part, directly or indirectly, in all activities related, directly or indirectly, to a cause defended by the association.